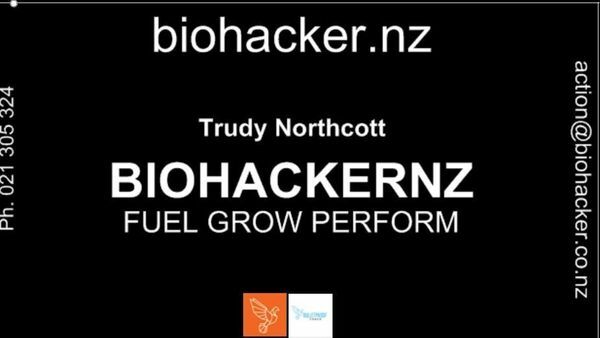 Biohackers AKLD Official Launch in a New Home! There's a new kind of hacker in town - biohacker! With local chapters around the world, the sole purpose of Biohackers Collective (www.biohackerscollective.org) is to bring together like-minded people obsessed with the pursuit of achieving an optimized life and superhuman performance, through biohacking and self-experimentation. We're fully primed for both health fanatics and science nerds alike: So whether you're an edge-seeking CEO, a plugged-in athlete, or an absolute beginner who's just heard of the term, you're more than welcome to come out to exchange ideas, learn or teach something, network face to face, and most of all have a good time at New Zealand's first biohacking group. Our mission: To unlock the code of human potential, by bridging the gap between the extreme and mainstream, and making the impossible, possible. We provide a setting for multi-disciplinary discussions that go beyond self-quantification, to include the art and science of taking control of your own biology, and changing the environment inside and outside yourself, so you can perform at a level you want across various domains including mental, physical, and spiritual - all while utilizing a combination of bleeding-edge tools & technologies, time-tested strategies and earth grown nutrients. The hype is real. We believe biohacking is the next big thing and has the potential to become a mass phenomenon and health revolution. What started as a body-tinkering, mind-hacking, supplement-taking productivity craze in Silicon Valley is now spreading around the world. It covers a current human need that is basically unmet today – the need to know what goes on inside our bodies when we’re eating, drinking, working, thinking and moving. So do you have a desire to not only rule yourself, but become the perfect version of yourself, gain an unfair advantage in life, maximize results, and supercharge your performance? If the answer is YES then I invite you to attend, participate, and grow with us in building a community around finding out what’s possible with our biology in the 21st century. So, are you “Bio curious”? We've been asked how people can get involved. Here are a few different things you can do to help out. I encourage everyone to join the conversation and let me know what topics you are most interested in, and write me with your recommendations, tips, and observations. Follow Us - Click "like" on the official Biohackers Collective Facebook Page www.facebook.com/biohackerscollective to stay in the loop and keep up to date with the hottest news, most badass articles, and sweet tips for maximizing your performance. 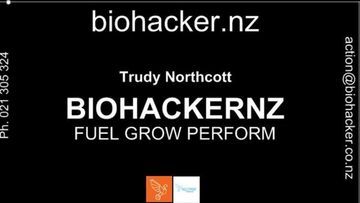 "Join" The private Biohackers Auckland Facebook Group to continue the conversation between meetups. Attend and Discuss – Stop by and participate in future meetings. We are actively trying to build our social networks, too. Please provide your Twitter or Facebook handles should you wish to continue the conversation between meetings. 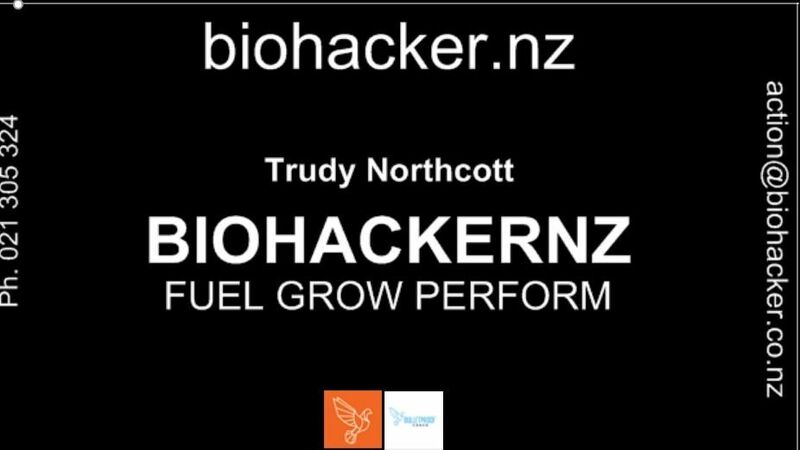 Speak or Present – If you are an experienced biohacker or expert, consider giving a talk. Sharing expertise is what makes meetups so valuable. Even if you're never given a presentation before, we are always looking for passionate people to present on relevant topics so please contact me at trudynothcott [ @ ] gmail.com with interest or recommendations. Venue / Sponsor – If you have a business, office, lab, or co-working space, consider hosting or sponsoring. I’d love to hear from you as I’ll always be on the lookout for fresh and interesting venues, and meetups don't happen without places to have them. Alternatively, everyone appreciates food at a meetup, so chip in for drinks and snacks at one of our upcoming meetings. It's a good way to get your company's name out there as an innovative workplace that encourages and supports non-profit organizations. Spread the Word – If you are an enthusiast, participate actively in your local meetup. Ask good questions. Share pictures. Tweet about what you're learning, or write a blog post. Know someone who should be a Biohackers Seattle member? Send them the meetup page. This group is not intended to treat, diagnose, cure, or relieve the effects of diseases, and we advise you first to talk with your doctor before trying anything....... blah blah blah yada yada yada you know the drill I'm not a doctor I don't pretend to be one so only take this information with a grain of himalayan salt or a couple strips of bacon ;) ...... basically just don't sue me or meetup.com! *Multi-Level Marketing (MLM) / Referral Marketing / Network Marketing for Business purposes is prohibited. Kind regards, and I look forward to seeing you soon in a welcoming and friendly atmosphere.